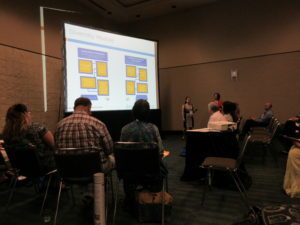 This is a guest post from Jennifer Shimada, a member of Cohort 1 of the Design for Learning program, who participated in our presentation at this year’s annual ALA conference and attended as one of our scholarship recipients. Thanks to a D4L scholarship, I was able to attend my first ALA Annual conference this year, in Orlando. I’d attended Midwinter once as a student a couple years ago, but this was quite a different experience! One of the main reasons it was different is that the first time, I didn’t know anyone, and that was a little intimidating at such a big conference. This time the conference was even bigger, but I was able to meet people in person that I had previously met online! I got to meet, present with (more on that in a bit! ), and have dinner with other instructors and students from D4L, which was a great experience. I also used Facebook to find people to room and meet up with. Being able to recognize people (even just by name from meeting them online) helped me feel like I belonged and helped me make closer connections to people I hope to keep in touch with in the future. Two other reasons I felt like more than a spectator this time was because I joined a couple of ALA committees for the first time last year (and so was able to participate at committee-related events at the conference) and because I got to do my first ever conference presentation. That presentation was on D4L! 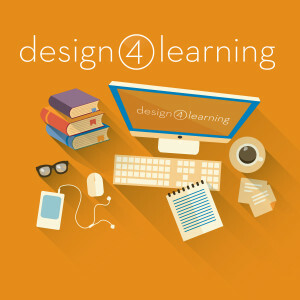 A group of instructors and students, including myself, presented about our experiences with D4L. I talked about my capstone project, and how it’s changed throughout the various modules that we’ve participated in. Academic librarians should collaborate with faculty to help students come to a better understanding of credible sources. Peer reviewed is not always the same thing as credible. Move away from “grocery list assignments” where we simply ask students to find three scholarly sources and a primary sources. Instead, have students think about what different types of sources (whether scholarly or popular) are good for, and what criteria they would use to evaluate each. Avoid absolutes (e.g., “Peer-reviewed sources are always better). Get students to create something and put it out into the world (can you have them post things in a place that is publicly visible online?). Encourage them to be authorities. You can see a lot more points by looking up the #AuthorityIS hashtag on Twitter. A side note that is relevant to our Social Module: I appreciated sessions with session-specific hashtags! Those are less important for smaller conferences, but for a big conference like ALA Annual, following the main conference hashtag (in this case, #ALAAC16) can be overwhelming, and it’s harder to find conversation specifically about a single session. Translating this to a course, think about the size of your audience. If it’s a course with just 20 people, using just one hashtag throughout the course probably would work. If it’s a MOOC with thousands of people, you might want to consider having both a hashtag for the overall MOOC and also one for any special events or chats you’re hosting or about each specific topic. ALA Annual was a great experience, and I’m very grateful for the scholarship that allowed me to go!